YES! This is for real! Modern new open Ranch 2017 home tucked at the end of a cul-de-sac in the heart of much desired West Bandon just steps to Old Town shops & restaurants and just blocks from the beach! 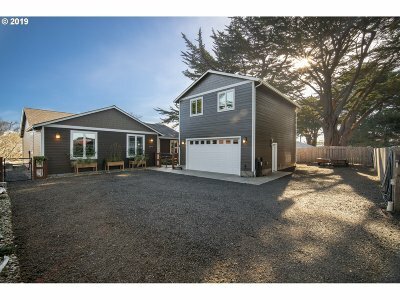 3BD + 4th BD option, 2BA main. Beautiful Kitchen w/ large island. Two tiered deck overlooking fully fenced yard. Property line to creek w/ open nature land! Detached 30' deep garage w/ 1 BD, 1 BA guest suite above! Room for RV/Boat.